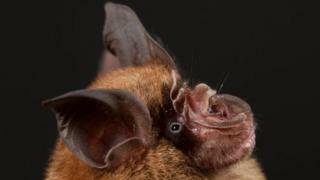 Researchers have found strong evidence that the Sars virus originated in bats. Two novel Sars-like coronaviruses were found in Chinese horseshoe bats which are closely related to the pathogen that infects humans. Critically, the viruses infect human cells in the same way, binding to a receptor called ACE2. This suggests coronaviruses could transfer directly from bats to humans, rather than via an intermediate species like civets as was previously thought. According to Gary Crameri, virologist at CSIRO and an author on the paper, this research "is the key to resolving the continued speculation around bats as the origin of the Sars outbreaks". This Sars-like coronavirus is around 95% genetically similar to the Sars virus in humans, the research shows. And they say it could be used to develop new vaccines and drugs to combat the pathogen. The Sars outbreak between November 2002 and July 2003 resulted in more than 8,000 worldwide cases and more than 770 deaths. This, along with the ongoing endemic of the Mers-coronavirus demonstrates the threat to humans from novel coronaviruses. Dr Peter Daszak is the president of the EcoHealth Alliance and an author on the paper published in Nature. He said: "Coronaviruses evolve very rapidly. The ones we are seeing are exquisitely evolved to jump from one species to another, which is quite unusual for a virus. So the big question is why are they emerging now?" At wildlife markets in China other animals and humans come into close proximity with bats, creating an ideal environment for the virus to jump between species. Also, those hunting in or living near bat caves have a significant risk of infection from such viruses, which are excreted in bat faeces. Understanding the origins of infectious diseases like Sars could help scientists tackle future infectious viruses before they emerge, through knowing where they are likely to arise and which families of virus we are most vulnerable to, and taking action to prevent initial infection. Dr Daszak said it would cost "about $1.5bn to discover all the viruses in mammals. I think that would be a great investment because once you have done it, you can develop vaccines and get ready with test kits to find the first stage of emergence and stop it."